The Lucy Table is a reinvention of an old speaker cabinet. When I tested the speaker, I was surprised to find that it actually worked, and that the sound quality was quite good. This inspired me to reinvent the speaker by retrofitting the electronics for an iPhone input. I used the existing mesh from the front speaker and chipped apart the crumbling fiberboard. I cast the crumbled fiberboard in resin to create a new composite for the top and side panels. I added storage for books, records and objects on each side. I found straight, metal legs from an old couch on the curb. These metal pipes were bent and used as legs for the table. To hold all these pieces together, I invented a joint that allowed me to inlay or “outlay” panels a as needed into the frame. 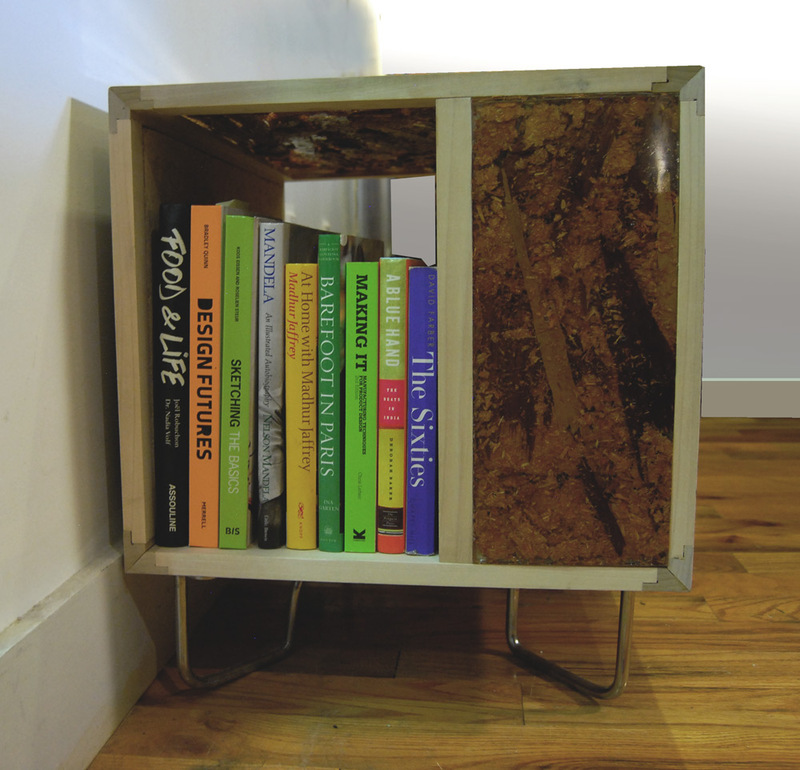 The Lucy Table contains a speaker in front, side shelving, custom joinery and cast resin/fiberboard composite. The cast fiberboard/resin composite creates the top large panel as well as the two side panels. Shelves create space for books, records or objects. 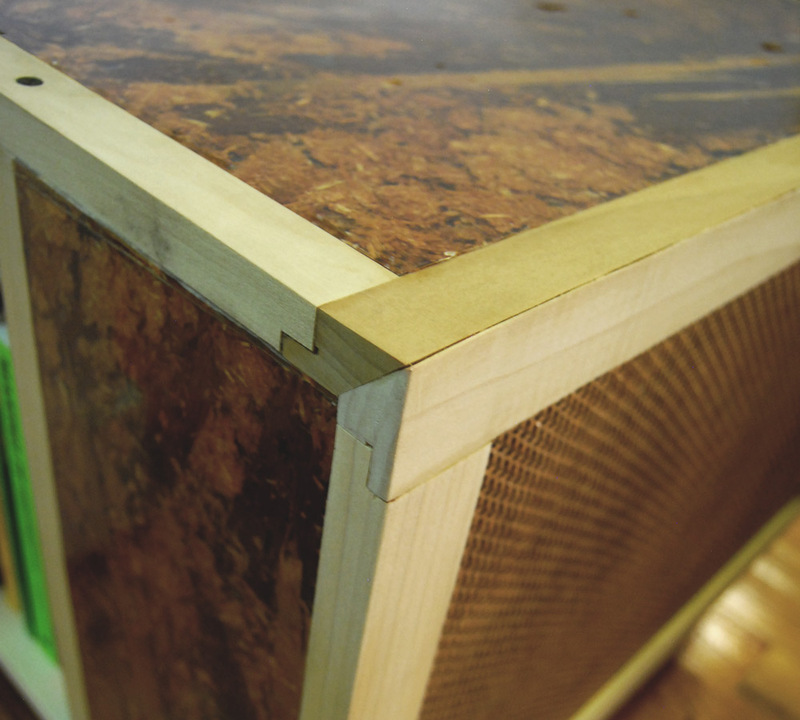 Joinery: I created and designed the joint to hold together the varying panels of the cabinet.